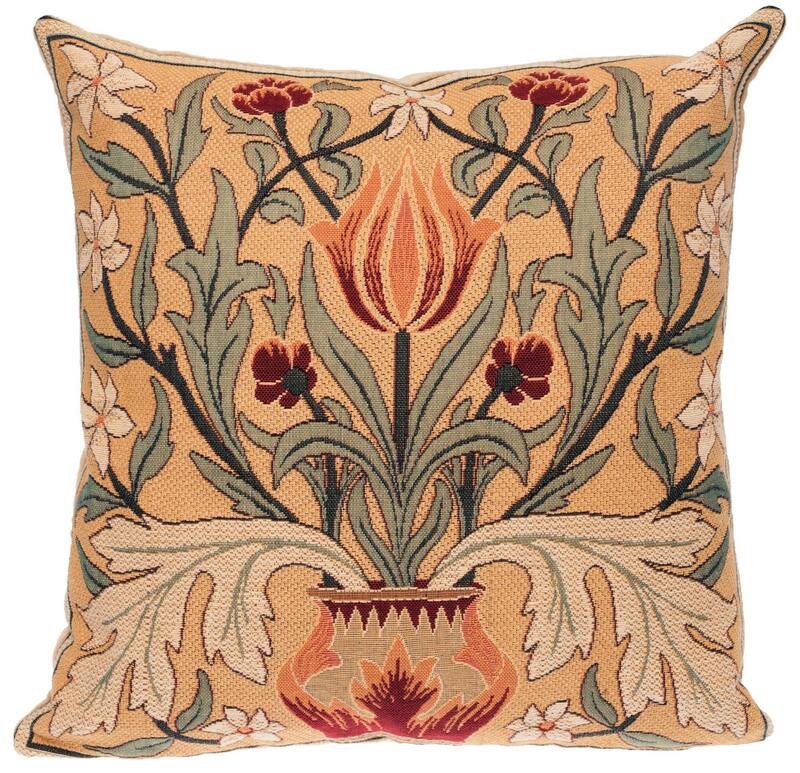 This Museum Collection gobelin cushion cover shows a vase with Tulip, designed by William Morris (24 March 1834 – 3 October 1896) who was an English textile designer, poet, novelist, translator, and socialist activist. 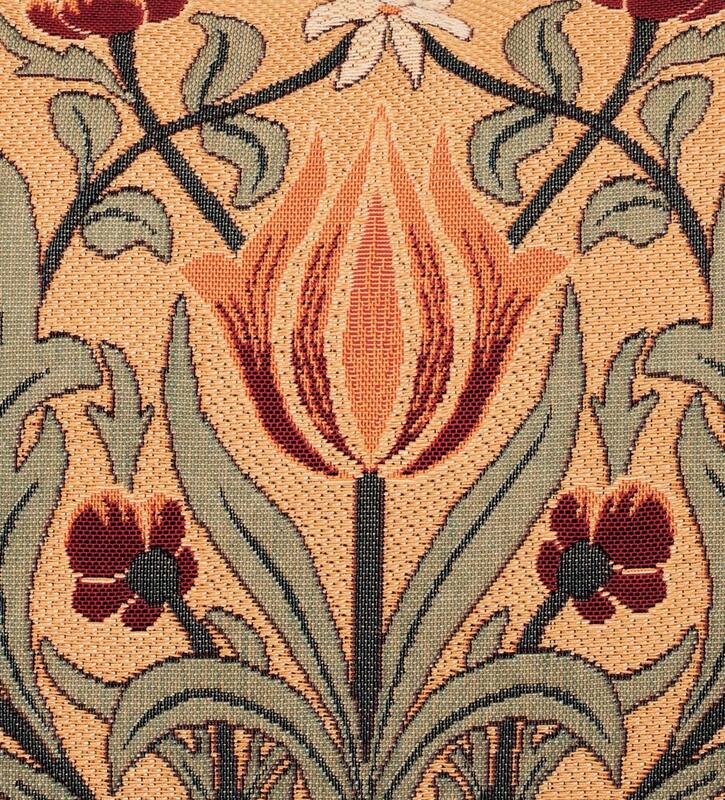 Associated with the British Arts and Crafts Movement, he was a major contributor to the revival of traditional British textile arts and methods of production. Beautiful pillows.... vibrant colors and ultra high quality. A real showstopper!!! Five stars are not enough. Good quality...elegant design and rapid delivery to the U.S. from Belgium. Beautiful, excellent quality, lovely item.